In an exclusive interview with Fox News, the Navy SEAL who claims he shot Osama bin Laden described looking into the Al Qaeda leader’s eyes before he killed him. 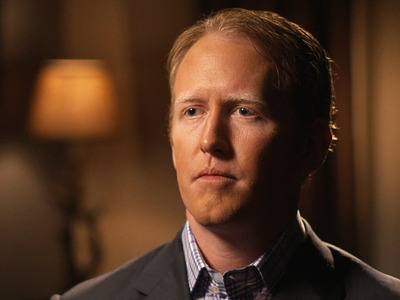 Former Navy SEAL Robert O’Neill, who has come forward publicly for the first time to speak about the May 2011 raid on bin Laden’s compound in Abbottabad, Pakistan, said he was probably the last person bin Laden saw. O’Neill said bin Laden looked him in the eyes before O’Neill shot him dead. He claims he was the first of the SEAL team to enter bin Laden’s bedroom the night of the raid. Bin Laden reportedly tried to shield himself with his youngest wife before he was shot. The raid ended a decade-long manhunt for the man who orchestrated the 9/11 attacks on the World Trade Center in New York City and the Pentagon in Washington, D.C.
“I’m still trying to figure out if it’s the best thing I ever did, or the worst thing I ever did,” O’Neill said. O’Neill’s participation in the raid has led to some long-term consequences for his life, which he detailed to Esquire (which didn’t name him) last year. He is separated from his wife and is struggling to pay bills. There has been some dispute over who really fired the shot that killed bin Laden. An anonymous source who claims to be close to another member of the SEAL team that carried out the raid said O’Neill did not fire the fatal shot. SOFREP, a website that covers national security and US special operations forces, reported that two leaders of US Naval Special Warfare Command sent a letter to their team members on Oct. 31, two days after the Fox interview was announced, wherein they attacked any SEAL who would violate their “ethos” and talk about a mission in public.